K&G announced its acquisition of renowned pulp & paper refractory company Refra-Chem Linings, Inc. on January 3rd, 2017. All field and operational employees of Refra-Chem joined the K&G Industrial team and K&G is proud to continue Refra-Chem’s 20+ year legacy and devotion to safe, efficient, and economical refractory projects. 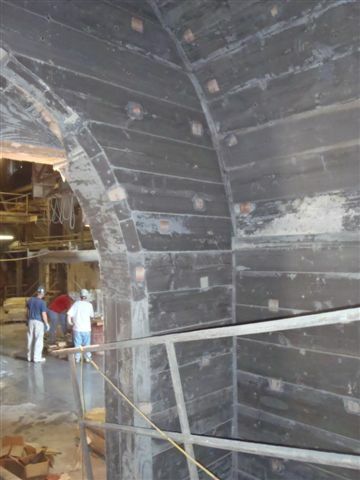 The Refra-Chem Division specializes in tile tank, bleach plant, acid brick, lime kiln and boiler refractory projects in pulp and paper mills throughout the Southeast United States. Although a mainstay on pulp and paper mill shutdowns, Refra-Chem has also installed new bleach towers, reactors, acid brick floors, chain system components, gunite and incinerator linings along with new tile chests. The superintendents and many of the masons of the Refra-Chem Division are full-time employees. This assures its customers the same high quality work year after year. Additionally, the engineering backgrounds (both mechanical and chemical) of the Refra-Chem Division leaders makes K&G’s Refra-Chem Division a valuable source of service and technical advice to its customers.